Famed Austrian economist Ludwig von Mises wrote in his seminal work, Human Action (originally published by the Yale University Press in 1949), that “There is no means of avoiding the final collapse of a boom brought about by credit expansion. The alternative is only whether the crisis should come sooner as the result of voluntary abandonment of further credit expansion, or later as a final and total catastrophe of the currency system involved.” The collapse of a historic credit bubble occurred in 2008. However, despite years of further credit expansion, “a final and total catastrophe” of the US dollar system has yet to occur. While an inflationary US monetary policy has serious consequences, hyperinflation is not an immediate result. There are three general ways in which the US dollar system could break down: (1) rejection of the US dollar as the world reserve currency, or (2) as an eventual consequence of US federal government insolvency and (3) a domestic failure of confidence. Of the three, US federal government insolvency is the most serious because it would result in both the loss of the US dollar’s world reserve currency status and also in a failure of domestic confidence. However, a new threat to the US dollar has emerged which could trigger a hyperinflationary collapse before the US federal government’s finances become unworkable, e.g., when debt service begins to crowd out military and Social Security spending. Specifically, the perceived legitimacy of the US financial system has not merely been tarnished by recent scandals but is in danger of collapsing. The consequences of a domestic breakdown of confidence and trust in the US financial system cannot be overstated. The most commonly cited challenge to the US dollar system relates to its waning status as the world reserve currency. The Bric countries (Brazil, Russia, India and China), along with South Africa, no longer use the US dollar for trade settlement amongst one another. The Chinese have internationalized the renminbi (RMB), which is now used in trade settlement with the other Bric countries, as well as with Australia, Japan, the United Arab Emirates (UAE), Iran and various South American and African countries under bilateral agreements. Iran, which is the world’s fourth largest oil exporter, has refused to accept US dollars in exchange for crude oil since 2009. While European countries utilize the euro, South American countries have instituted a local currency payment system, the Sistema de Pagamentos em Moeda Local or SML. At the same time, the IMF stands ready to settle international trade using Special Drawing Rights (SDRs). However, local settlement at the regional level is largely irrelevant. At the global level, the implicit crude oil backing of the US dollar by the Organization of the Petroleum Exporting Countries (OPEC) remains in place and the US military remains dominant. As long as OPEC backs the US dollar, and as long as there is no viable challenger, the US dollar is unlikely to be deposed. The euro, for example, is a troubled currency and its future is questionable. China’s economic ascent is likely to continue and the RMB can be redeemed for Chinese-manufactured goods. However, the Chinese economy is currently in a recession, the RMB is not a fully international currency and China’s military is not ready to take on the role of a global superpower. At present, no national currency stands as a viable challenger for the position held by the US dollar and there is no consensus regarding its eventual replacement. However, discussion of the gold standard has moved from the fringes of the financial world into the mainstream. 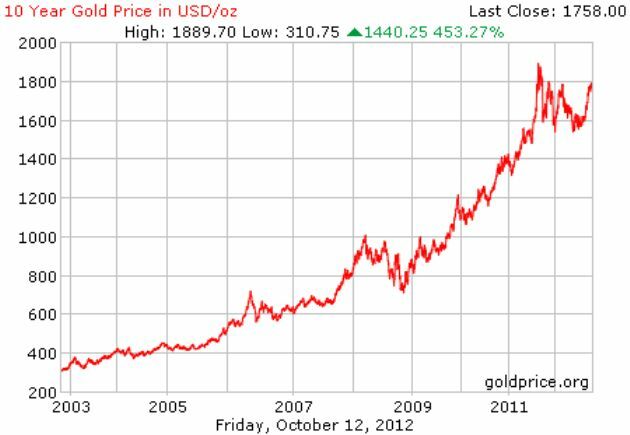 The price of gold has risen in response to widespread currency debasement, i.e., as a hedge against inflation. OPEC and many other countries could, potentially, fall back to gold if the US dollar were no longer viable, i.e., if the prices of global commodities, and especially the price of gold, were to rise at an accelerating rate measured in US dollars. China and Russia, for example, are significant buyers of gold and crude oil can be purchased with gold instead of US dollars pursuant to bilateral agreements, if not on world markets generally. An eventual return to the gold standard is possible but seems unlikely in the near term. Ron Hera, who is the principal author of the Hera Research Newsletter, is a private investor focusing on hard assets, natural resources, commodities and precious metals. Hera is an outspoken proponent of the free market and of the Austrian School of economics. His articles on economics and on companies that produce natural resources appear regularly in print publications and on hundreds of thousands of websites globally.